No matter where you shop, people purchase items that require paying sales tax. Sales tax varies among different counties, cities, and developments. 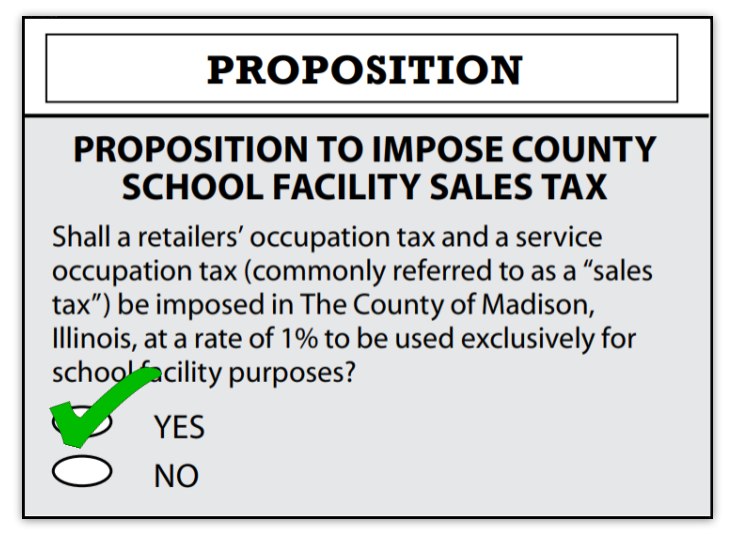 Consumers who shop in Madison County would know that they would be keeping their money in the community while at the same time contributing toward quality school facilities and reducing the burden of property taxes. It is projected that 30-40% of the annual revenue will be paid by visitors (non-residents) shopping, dining, and staying in Madison County. HOW MUCH MORE WILL YOU PAY IN SALES TAX? For most property owners in Madison County, the amount saved in property taxes will be significantly more than the amount spent in additional sales tax.